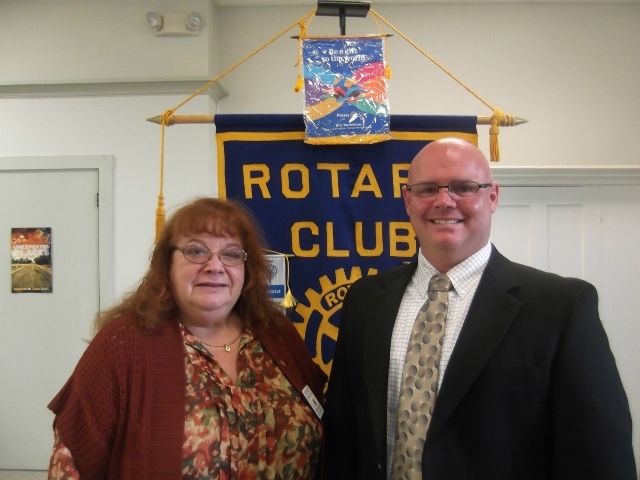 ​ ​Hillsboro-Deering Principal Jim O'Rourke was our guest speaker to tell us about the high school and their programs. As a result of his attending, the club will be having a regular breakfast meeting at the Hillsboro-Deering High School and hosted by the DECA members on November 19th. Any guests wishing to join us should call Joyce Bosse at 464-3053.